If you’re like me, you have a million pens and pencils in your house; you just don’t know where they all are. 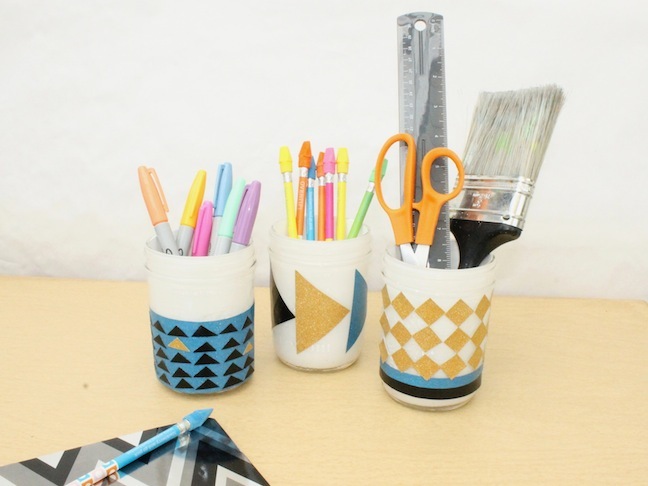 Take a stand with me and organize your life (or at least your writing instruments) with these easy-to-make organizational craft jars. 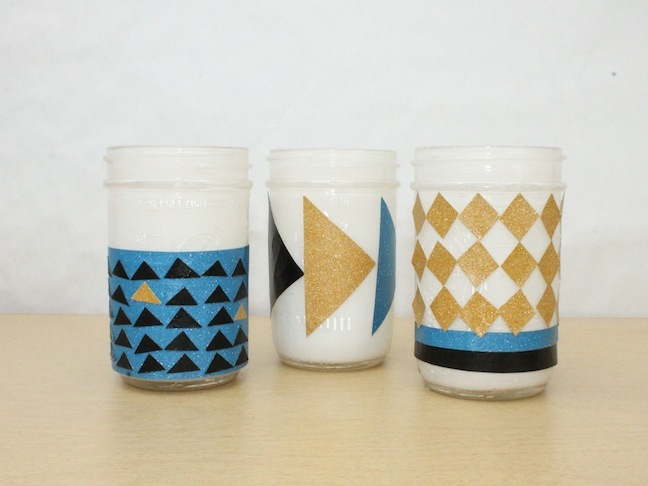 The modern and graphic jars are great for your office desk or even your kid’s homework area. 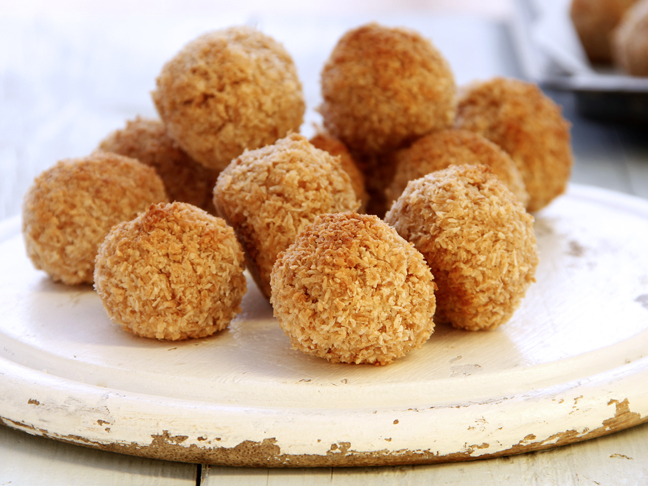 You can make them in less than 30 minutes (minus drying time). 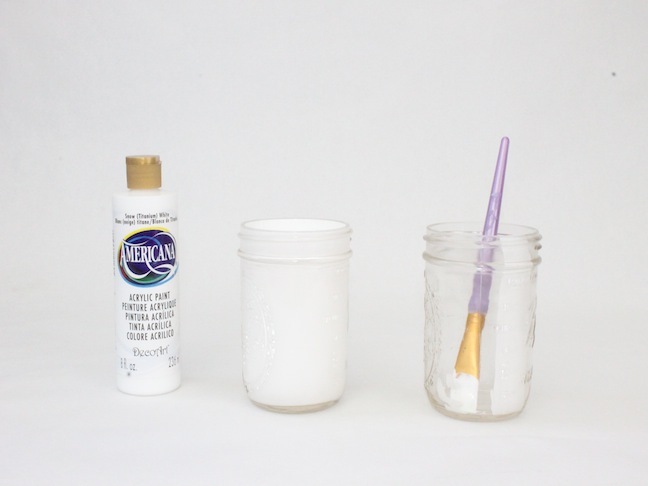 Step 1: Paint the inside of the mason jar with white paint. Surprisingly you only need one coat. Let dry. 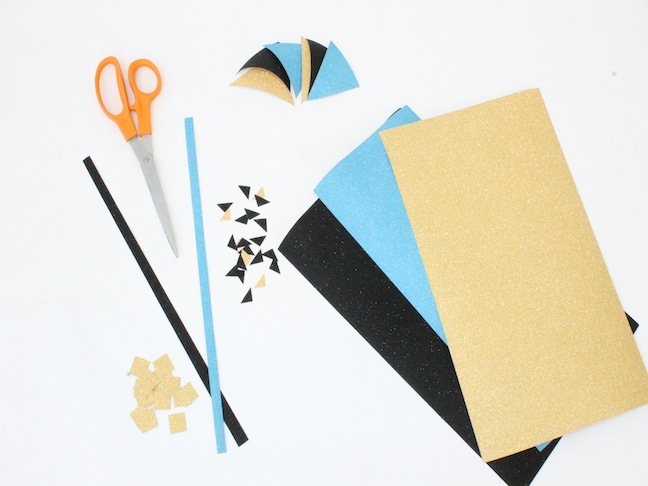 Step 2: Cut out the paper shapes that you will be using to decorate the jars. 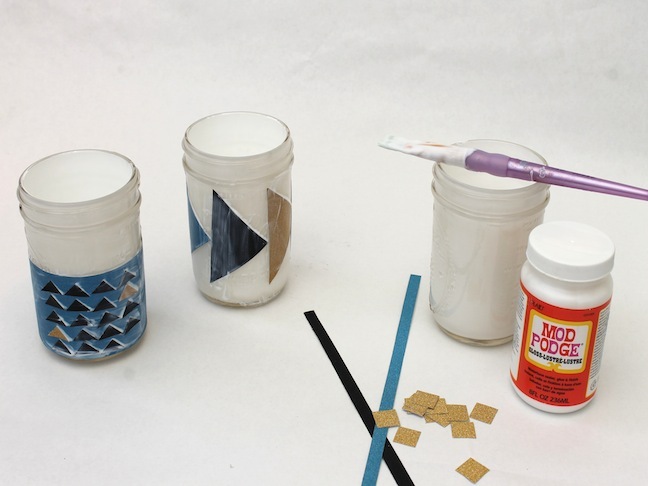 Step 3: Use your paintbrush to spread Mod Podge over your mason jar. Place your paper shapes onto the jar. Spread Mod Podge over the top of the paper. If you use thicker paper like I did, you will have to press the corners of the paper down for a few seconds so they flatten out. Let dry. Project complete! 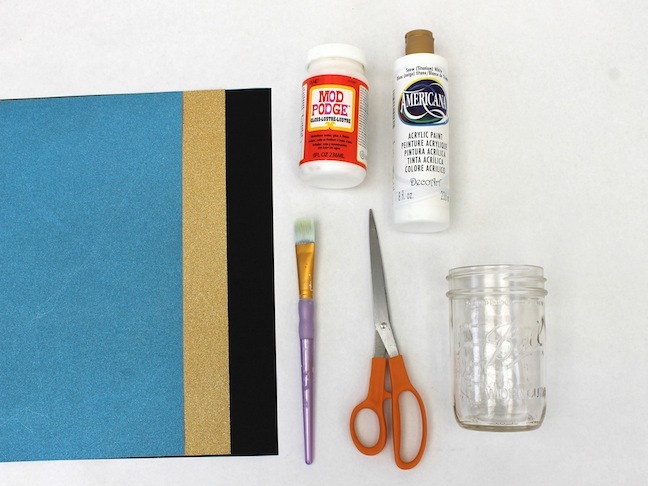 Don’t forget to check out the rest of our great mod podge ideas here.